Today I wore my MOM jeans! They're incredible! I recently purchased a pair of the much talked about MOM jeans from Topshop, which I've had my beady eye on for some time now. I wasn't sure whether I would be a owner myself but after much consideration and lusting over other girls' who have styled their own pairs I decided to take the lunge and make the purchase. I'm not disappointed at all! They're super high waisted, which is such an 80's throw back and one I'm very happy didn't remain a thing of the past. I decided to go for the darker blue pair as I think these are rich with vintage vibes! I think they're beautiful to pair up with shirts, jumpers, t-shirts, cropped tops and pretty much anything to create a laid back style but one that will attract a lot of attention! 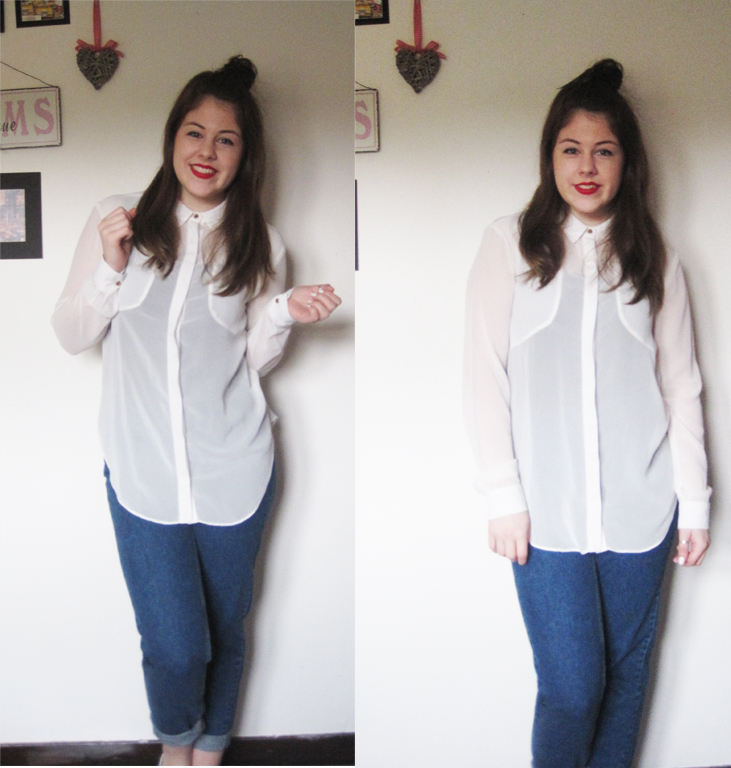 I wore mine with a cream blouse also from Topshop forever ago as well as a vivid red lipstick. I then wore my skater black and white shoes to complete the look!